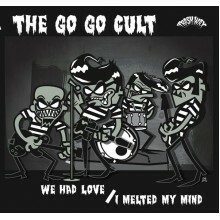 017 repress, first released in 1999. Radio Cramps: The Purple Knif Show features the much talked about radio show of summer of 1984 that featured Lux Interior playing his favorites and obscure-sets 7" records while howling, buzzing, and raving about them. 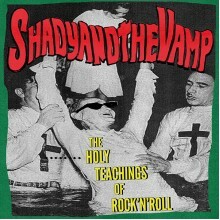 It includes such classic and influential stuff like Frantics, The Sparkles, Link Wray, Billy Strange, Mad Mike And The Maniacs, Vic Mizzy, The One Way Streets, The Swamp Rats, Deadly Ones, The Troggs, and many more (up to a total of 28 tracks!)... Absolutely entertaining and instructional especially by Lux's comments/noises between tracks. 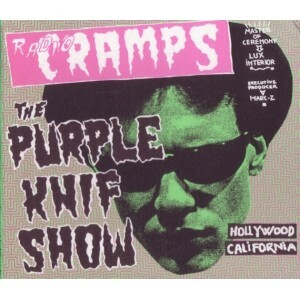 The gatefold sleeve artwork has been specially designed by Lindsay Hutton (Next Big Thing and President of the Legion of The Cramped - The Cramps Fan Club). 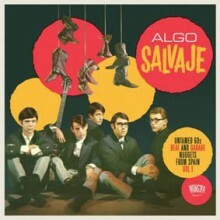 Also features J.J. Jackson & The Jackals, The Trashmen, Bill Carter And The Rovin' Gamblers, Tides, Earl Hagan & The Interns, Ted Weems & His Orchestra, Ray Anthony, Grady O'Neal & The Bellatones, Enchanters, Jam Space & The Cadets, Archie Bleyer, Spark Plugs, 5 Blobs, Unknown Artist, Ward Darby And The Raves, and Cozy Cole. 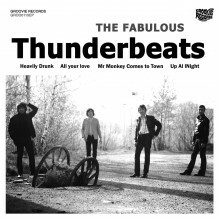 FABULOUS THUNDERBEATS, THE - Heavily Drunk 7"
The russian invasion continues, and for the second time this Moscow primitives are hiting Groovie Re..